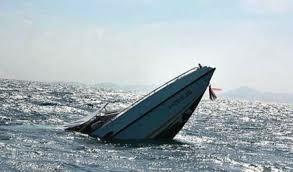 A boat mishap has claimed the lives of two students and an aged woman in the stormy Bonny-Bodo River, in Rivers State. The Daily Sun gathered that the incident, which sparked off anger in the natives occurred, on Monday, following a heavy thunderstorm. Angry community sources said that the tragedy was avoidable, as the boat took off on the Port Harcourt-bound journey against stormy weather and current. The dead included Isaac Fubara Pepple, Queen Ibinwangi Ibisa Hart, a student of Ken Saro Wiwa Polytechnic, both from Bonny Island, and a yet-to-be unidentified aged woman. Nine survivors in the loaded boat were rescued by the crew of Catflash, a Nigeria Liquefied Natural Gas (NLNG) ferry, which ran into the incident on its way to Bonny from Port Harcourt. Chairman of Bonny Local Government Area, David Irimagha, confirmed the incident and said that bodies of the deceased have been moved to the mortuary. Inimagha wondered why the boat rider decided against following normal waterway from Bonny to Port-Harcourt and instead followed the Bodo shortcut on the trip. He called on boat operators to ensure decorum and be safety conscious in travelling on the stormy waters in the locality.